Savvy Spending: FREE sample Nice 'n Easy Hair Color!! 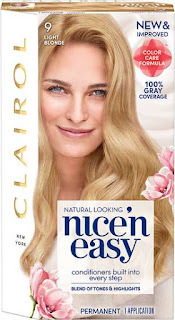 FREE sample Nice 'n Easy Hair Color!! You can request a FREE Nice ‘n Easy Hair Color Sample. Just answer a few questions about the color you'd like and click "order sample"!